Sometimes when you want to get underground music,you have to genuinely go underground. those of us who were listening to the real thing in the mid 80’s understand what I mean… You didn’t find NickCave, Spacemen 3, the Minutemen, Half Japanese,Sonic Youth or Husker Du in the STORES (at least not in the midwest). You ordered them out of messy newsprint catalogs or obscure fanzines. About 6 weeks after you ordered the vinyl showed up at your doorstep. It had that “new” smell to it and your face glowed as the anguish and guitars roared out of your speakers like nothing you could buy at Musicland. Of course, one of the greatest of these “underground” bands was the (then) unbelievably harsh and vehement Swans. Like Sonic Youth, 8 Eyed Spy and Live Skull, Swans were part of the “New York Noise” scene, but they were by far the most intense. Michael Gira’s gutteral bass vocals and the band’s calculated, repetition driven musical BOOM made them both feared and respected. And among this noise storm was Jarboe, the band’s keyboardist and counterpoint female vocalist. She was the eye in Gira’s hurricane, his canary in a barbed wire cage. Swans, of course, changed drastically (due largely to her influence) over the years, prying into folk, ambient, and even pop before calling it quits with last year’s ominous Soundtracks for the Blind. Now Jarboe is on her own and she’s taken the music, at least in concept, back to where it was in the mid-80’s. And you have to order this CD from the source… You won’t find it in a store near you, no matter how “hip” it is. Jarboe has taken the underground, in effect, underground again. But remember that what made all the great “underground” artists so great was a mix of two factors: Originality and anger: You can bet that Anhedoniac is bubbling over with both. Having long since set her caged bird free, Jarboe’s vocals range the many faces of her inner emotions. You can compare this awe-inspiring chanteuse with Nico, Diamanda Galas, or PJ Harvey if you must have comparison… But really on this one she is nobody but Jarboe, and her vocals stake out a new identity out of the collapse of the old. Here, an old southern drawling crone tells a tale of captivity, addiction, lust, and betrayal. There, an innocent childlike lover croons to her “sinner”. The album spirals on until all personalities are spent and only an ominous, instrumental hum is heard (thanks to ambient masters Panasonic). It is at this point that we hit “Honey”, where a barely gasping Jarboe lists all the things that somebody (Gira?) can’t do to her because there is nothing left to do anything to, or, as she puts it “you can’t explode what’s empty”. But then she notes, “You can’t erode the memory”… Then she tops it with the death knell “I’m A Killer”,where the many personalities make an encore to celebrate the death of the old. And death it is; Anhedoniac being a tragedy,a catharsis, if you will. Jarboe in fact has declared her next album (being recorded in Israel) as the Phoenix reborn in new skin, but that’s for later. First she must rid the past by dying an underappreciated Cassandra. And so she does. In the the title track, she speaks of her savior giving her a box of “his disease” before tumbling to “the one he strangled in the sea” who beckons him “come to your drink”. In the bottle version, you hear a bottle clank to the floor after the vocals fade out… A reference to Gira’s infamous alcoholism? In “Forever”, perhaps the albums single most moving track, she claims, “I will believe in you… Forever” as a background vocal swoons into primal ecstasy. Believe in whom, exactly? Is this a paeon to love regardless of the cost, or a is this a statement of self; a release from the cage? Possibly… In the liner notes to the press release Jarboe claims she tried hard to declare her female identity in the male dominated Swans. “Forever” seems to state that she has moved on to find this identity, a search that took her through three solo albums where she often tried as many non-Swans sounding tracks as shecould. Yet here she acknowledges what Gira has taught her and grasps her Swans influence with both hands, turning it into a new force all her own. Indeed, “Rage”, “Burnt”, and “the Cage” are the best uses of the “old” Swans style since 1987’s “New Mind”. But then, this is a concept album reflecting thosetimes, as the story in “Circles in Red Dirt” about the man named “Michel” makes clear. Back home in Atlanta after a five-week recording stint in Israel, the demure diva of art-rock talks with Editor Michael Pittari. Like the strange, shifting cast of self-invented characters who manifest themselves in her evocative explorations into art and music, Jarboe’s life-journey through the different worlds of her own history has produced a complex range of emotive material bound up into one mind and body. Although her work has been well documented in music magazines, and, perhaps most thoroughly, in Andrea Juno’s seminal 1996 book, Angry Women in Rock, her exposure within the art world has been long overdue. As both an “artist working in sound,” as she refers to herself, and as performer of mesmerizing capabilities, Jarboe inhabits the nebulous vacancy between music, performance, and installation. Raised throughout the Deep South, Jarboe was exposed early-on to the myriad and mysterious rituals of life. Her father, an FBI agent, changed personas regularly as he moved the family to the different locations he was investigating undercover; of particular note were the tent revivals that he took the four-year-old Jarboe to in rural Mississippi, forcing her to confront her fears through snake-handling rituals. From the same age her father also taught her music, enrolling Jarboe in formal singing classes and church choirs. But this same man, who instilled such gifts in his daughter, also caused adolescent paranoia in her by monitoring her whereabouts and taping her phone calls, keeping them, along with his FBI surveillance tapes, locked in a desk drawer which she only discovered after his death many years later. Her mother, a devout Catholic, influenced Jarboe’s love of ritual and bestowed upon her both a spiritual and intellectual interest in religion. As if that wasn’t enough, the biggest change in Jarboe’s life was still to come. In 1983, upon hearing Filth, the second record by a ferociously loud New York art-rock group called Swans, she felt a “voracious, animalistic side” emerge from her personality and was compelled to “contact” the group. Under false pretenses (pretending to write for an art magazine! ), Jarboe interviewed Swans founder and creative force, Michael Gira. Her attraction to Swans’ pummeling musical intensity and the creative energy of the East Village, where she met members of Sonic Youth and her long-time friend, Lydia Lunch, was overpowering; within the next year she sold the majority of her belongings, divorced her husband, moved to New York, and, most prophetically, persuaded Gira to let her join Swans. Since that time, Jarboe’s career as an artist has continually developed. Contributing to Swans initially by controlling the industrial tape-loops that the group had already been incorporating through the use of foot pedals controlled by various instrument-wielding members of the band, by 1985 Jarboe played piano and sang several songs on the albums Holy Money (1985) and Greed (1986). Her presence in Swans added a sensual, feminine presence to the brutish, thug-violence of the group’s slow, rhythmic fury, and her horrific stories of abuse fueled Gira’s increasingly sexualized subject matter. The evolution continued as Jarboe’s rich life-experiences found an outlet in the increasingly ritualistic and conceptual manifestations of she and Gira’s collaborations; on records like Children of God (1987) and Blood, Women, Roses (1986), a Swans side-project with Gira called The World of Skin, Jarboe’s earthy, heavily-phrased vocals took on a goddess-like presence amidst dark, brooding soundscapes. By 1988, Swans had gained a strong international following and were signed by MCA Records, but the success story of the first band signed out of the East Village was not to be. The label removed almost all artistic control from Gira, forcing him to spend huge sums of money to do everything-photo shoots, back-up musicians, even the record’s production-their way. The Burning World (1989) is the product of that process, a flawed but inherently truthful record that features some of Jarboe’s most concentrated singing and arranging to date. Its lack of commercial success, along with the “corporate void” that MCA left Swans in, deemed the whole experience a failure. According to Jarboe, it was not until 1994, on the record The Great Annihilator, that Swans finally got back on the track it was on prior to the MCA debacle. By that time, however, Jarboe had made two eclectic solo records, Thirteen Masks (1993) and The Beautiful People Ltd. (1994), which established her own music as a viable medium independent of Gira’s presence. Combining elements of gospel, hip-hop and tongue-in-cheek pop (her rendition of Gilbert and Sullivan’s “I Feel Pretty” on The Beautiful People Ltd. is particularly amusing), Jarboe concocts ambient, hypnotic grooves that alternate between the beautiful and the baneful, the operatic and the spoken word, with utmost intensity throughout. Gira’s decision in 1996 to end Swans was, nevertheless, a devastating blow to Jarboe; the group’s final tour of the U.S. and Europe in early 1997 was, ironically, the most psychologically intense and musically cohesive statement Swans had made in the previous 10 years, and her role as Gira’s long-term collaborator and partner had earned the couple a legion of devoted fans world wide. As the interview reveals, Jarboe began work on her first post-Swans release, Anhedoniac (1998), in late-1997. The record, available in extremely limited quantities through the Swans website (www.swans.pair.com) that Jarboe manages, is a visual and aural exploration of the pain and isolation that Jarboe felt after the professional and personal departure of Swans and Gira. “Anhedoniac,” a psychology term for “the inability to experience pleasure,” is just that, containing a grisly portfolio of photographs of Jarboe by noted pulp filmmaker and photographer Richard Kern. The images, along with the complex recorded paradigms that Anhedoniac contains, surely establish Jarboe as an artist of serious merit. Her forthcoming project, Disburden Disciple, continues her growth into psychological and sonic realms which are uniquely her own. Michael Pittari: You’ve just gotten back from recording in Israel, a country wrapped up in ongoing political turmoil. What inspired you to do that? Jarboe: I’ve always had a daring, perhaps reckless approach in regard to “looking before you leap.” Israel was this opportunity that I thought would either be disastrous or great, but I knew it would be a growing experience if I got out of there alive! This religious Iraqi-Jewish man, Malka, had been writing me off and on since ’92; he has a studio and does projects that are only known in Israel. I liked a lot of the instrumentation, but I didn’t know him very well, so I’ve learned a lot about the Middle-Eastern mentality of how women are viewed, the roles of men and women there. It’s a very non-western mentality, and I had never, ever…gosh…been put in a position where I had to be tough all the goddamn time. The communication was very difficult, and the whole male/female thing was something I had to overcome. I found myself becoming more and more stoic, more and more hard, and that exhausted me-it just wore me out. So as an experiment, I think it was beneficial. I’m happy with seven pieces, and I had done some pieces recently here at my private Mothercrow studio with my friend from LA/Seattle, Brian Castillo, who worked on Anhedoniac, so I do already have enough material for a full album. But I’m going to keep doing a few more pieces too. The work that I got done in Israel was very good, but I really had to work hard. It’s the kind of situation where they’re just not used to dealing with my type of strong woman, so it was very challenging, to say the least! The main thing I got out of it, besides the music, was seeing the situation there, and learning a lot about what the State of Israel is and the political situation with the Palestinians. I spent a lot of time in Jerusalem, so I have a new interest in my life. When I launch my website, my own personal website, I’m going to do a magazine-not just a music site-and interview people from all walks of life and try to stay away from too many music people. I met several people in Israel who are involved in Palestinian issues, trying to resolve issues through non-violence. MP: It sounds like quite an experience. J: But I wanted the pieces to be abstracted enough to where people could hear it from a source of pain, or from a sense of loneliness or loss and get something from it. I didn’t want to have a diary entry or something that would be trivialized or just self-indulgent. I wanted other people to get something from it. So as a work, Anhedoniac walks that line between being very personal…me being as intimate as I can be-and there are so many keys in there, messages and references in there, that are just really personal. This is why I wanted it to be very, very limited; very exclusive and personal. That’s why I wanted it to be completely raw and to completely show the pain as best I could, which is why I had those vaginal shots, and the wounds and the scars. This was my concept but it was actualized by Richard in the photographs and Victor Tank who did the design of the CD. MP: You’re literally and metaphorically naked. J: Yes, exactly, I wasn’t even trying to preach to the unconverted; I wanted it initially to reach people who know the history. Without that you’re possibly going to miss a lot of nuance; you have to know my work and Michael’s work to really understand it fully as a concept. M: That definitely helps inform it. But while it is so personal, like a good work of art there’s a strong intellectual quality to it, in terms of the voices and dialects you use, wherein it could speak to somebody who doesn’t know. It’s not like you’re just pouring your heart out, you’re pouring it out through this sophisticated line-up of characters and sounds. I think it’s really strong on that level. In fact, it reminds me of installation work; most of your solo work is so intense that it could just as easily be on in a gallery where people walk in and just listen. J: I agree with that assessment and I do think Anhedoniac is also more experimental. It has been called the strongest work I have done to date. Saying that, the new CD is going to be called Disburden Disciple. This term in itself is a collaborative as it is a term coined by my art director upon discussing the intensive care aspect that is the theme and the concept is that a disciple will do anything to, in this case, lay down their burden. It’s going to explore the things that people will do to set themselves free, with a real focus on romance and love and drill bits! There are different voices on it as well, some that I haven’t used before-believe it or not! Some of the different voices are simultaneously in one piece. The CD is going to utilize the specific Middle Eastern instrumentation I recorded in Israel, with percussion and violin as well as ballads that may seem shocking to some people after the harsher sound of Anhedoniac. And the photos again promise to be not for the faint of heart. f :ing that just came out all in one night…it was just frantic…feverish in a very cathartic kind of way. But I wanted the pieces to be abstracted enough to where people could hear it from a source of pain, or from a sense of loneliness or loss and get something from it. I didn’t want to have a diary entry or something that would be trivialized or just self-indulgent. I wanted other people to get something from it. So as a work, Anhedoniac walks that line between being very personal…me being as intimate as I can be-and there are so many keys in there, messages and references in there, that are just really personal. This is why I wanted it to be very, very limited; very exclusive and personal. That’s why I wanted it to be completely raw and to completely show the pain as best I could, which is why I had those vaginal shots, and the wounds and the scars. This was my concept but it was actualized by Richard in the photographs and Victor Tank who did the design of the CD. When singer-keyboardist Jarboe first began performing with New York’s seminal, monolithic sludgerockers Swans in the mid-’80s, her material often served to provide the spacious, harmonic contrast necessary to properly define (if not comprehend) the claustrophobic soundscapes being ground out by her bandmates. That aural contrast played a crucial role in the evolution of Swans’ music over the next decade, as the devolving ensemble sought to blend the immense power of their antichromatic early works with the seductive, ennui-laden melodic magic with which Jarboe and partner Michael Gira regularly flirted via side and solo projects. Interestingly, the net effect of this evolution was a steady softening of Gira’s material and an offsetting hardening of Jarboe’s. Sometime around the release of 1996’s The Great Annihilator, Gira and Jarboe’s vectors finally crossed–with the heretofore chilly Jarboe emerging unexpectedly as a pain-wracked screaming earth goddess and Gira donning a ruminative, less id-driven (musical) persona. After scuttling Swans in 1997 (ostensibly to save their personal relationship at the expense of their professional one), Gira continued down his inward-looking/ambient tack with the Body Lovers while Jarboe worked to produce the truly harrowing, deeply frightening, fiercely abrasive Anhedoniac. This crucial, limited-issue work provides fully convincing aural and visual (courtesy famed sleazographer Richard Kern and The Voluptuous Horror of Karen Black’s Kembra) glimpses into the world of an individual who is both insensitive to pleasure and incapable of happiness. It’s a testament to Jarboe’s vast creative and conceptual talents that she is able to make that world comprehensible and, somehow, even compelling. When she sings “Come and give me what I need, insidious with cruelty” during Anhedoniac’s opening track, it’s awfully hard to resist her. It’s only when she closes the album singing “Come now, obliterate, I’m your killer” that you realize there may be a price to pay for your masochism. Trust me, though. It’s worth it. I can’t begin to understand the journey traveled to produce such raw emotion, nor do I plan to walk in those shoes. Regardless, this IS power. I sat watching the ceiling decay above me as Anhedoniac pulsed out at a near deaf level. Each track penetrate my mind, body, and soul in a way that can only be experienced. If you picked up Sacrificial Cake, then you have the “folk album.” Those are roughly Jarboe’s own words when describing this release. That’s putting it mildly. It is nothing I have heard before, and can only compare it to Jarboe singing “I Crawled” on Swans Are Dead . I am left speechless. Anhedoniac is anhedoniac. Jarboe is only pressing 1500 copies of this album, and it’s limited to those twenty-one and over. To make it a little bit more of a “challenge,” Jarboe is self-releasing this one, so you’ll need to go to the web page to pre-order it. BUY IT! ‘Nuff said. Heathen Harvest: I would like to ask you first about your most characteristic feature, which is your extreme vocal range…you manage to sound different on nearly every song. Do you actually ‘think’ yourself into a different persona for each song, like method acting, or is it purely a physical thing, reacting to the music? Jarboe Devereaux: Andreas, it is both and also something else entirely. It has been pointed out to me that I sometimes appear to channel and that a type of invocation can occur. HH: You once said your extremist tendencies were nurtured by your upbringing in the American South…not the conservative South of stereotype, but a South full of eccentrics. Would you like to elaborate on this and what the South has meant to you throughout the course of your life? JD: New Orleans and the bayou country of Mississippi and Louisiana involve a richness in a particular way of life with respect to many cultural traditions…. voodoo, storytelling, significant items passed down through generations, myths, superstitions, secrets, the supernatural, vivid music, spicy food, sensual air, snakes, intensified elements of nature, red wine, street performers, Mardi Gras, Charismatic Catholicism, speaking in tongues, ritual…. HH: Before you joined Swans you were working as a performance artist in Atlanta. What did these performances involve? Have you always been an extrovert? JD: Quite the contrary, I would say I am introverted and reclusive. As for performance art, some have noticed particularly that the cover images of me on my cds involve a physicality in an extreme portrayal of myself and that they perceive this as a significant part of my work. Indeed, to prepare for “The Men Album”, I had my back tattooed with a Sufi heart and a dagger thrust into that heart and the ancient symbol of Victory (the running legs) inside that heart. Thus , even with a knife in the back (betrayal) through the open heart (represented by Sufism) , Victory prevails. I also had graffiti artists spray onto muslin and I sewed large caftans out of the fabric and had a woman model them in the gallery. Sometimes the performances went on location like the time the entrance to the Georgia Mental Health facility was spray painted with a stencil saying Defy Psychiatricks. This piece was done in conjunction with Georgia artist EK Huckaby. AT the time I was exploring societal standards of what is acceptable behavior and what is considered unacceptable and classified as “insane.” I had been studying Indian holy men and how what the west might consider delusional would be viewed as mystical somewhere else. HH: The New York music scene in the 1980s had a reputation for being very innovative, with Swans, Sonic Youth, and the so-called ‘No Wave’ scene. Did you deliberately move there to be part of this? Did you already have a premonition you would end up singing for Swans? JD: Mars, DNA, Lydia Lunch, Jim Thirlwell also were part of the scene when I moved to the East Village. However, none of that had a thing to do with my moving to New York. I was drawn solely to the idea of working in Swans. Ultimately I became a significant part of Swans and remained in Swans longer than anyone but Michael Gira who began the band in 1982. Everyone else came and went. It wasn’t just “a band” by any means. The vocals in Swans and the Skin/World Of Skin albums came about solely because I was a trained vocalist and it was a natural evolution of my input. Live, I spent 1985 and most of 1986 playing keyboards and creating sounds for Swans. In the studio, I had recorded choral backing vocals on “Greed” and “Holy Money” in addition to screams and the song “You Need Me.” During those years, we were dubbed “The Loudest Band In The World” by the British press. I was writing music of my own and that led to working with Michael Gira on the “Blood Women Roses” album (the first Skin album) and in turn that led to the Swans album “Children of God.” My skills in arrangements and melodies and writing parts for guest musicians came into play as well. Of course, there were many heated arguments about credit for arrangements and what constituted the song in terms of songwriting credit. It was necessary for my own vision to do solo albums as a way of airing my skills and responding to the lack of formal credit I generally received in Swans for my skills. In the end, actions speak louder than words and the work speaks for itself. HH: Early Swans had a very violent, self-destructive aura about them, and you (as a roadie) often had to drag paralytic members of the band safely out of harm’s way. At what point did this self-destructiveness begin to turn around and give way to the more philosophical, reflective urges of the later Swans period? Did it coincide with the change in the music from brutal and torturous to the beautiful, haunting style heard on albums like ‘Love of Life’ and ‘The Great Annihilator’? JD: Yes, the metamorphosis of Swans is one of the most dramatic accomplishments in the history of music. If the work had a self destructive aura even in early Swans is probably a matter of perspective. It was certainly making a statement about power. I believe the change in the music was ultimately all a part of an evolution stemming from honesty and maintaining belief in one’s work. To continue doing something when it does not feel honest is a sham and an insult to the artist and the audience. For my part, I came on board after “COP” and soon thereafter, melody found its way into Swans. I view this as the utilization of my input coming into the equation of the evolution. JD: It was a project involving Maynard who is in Tool. Maynard was given my original handmade edition of Anhedoniac when he played a festival in Japan. He liked it and we met in Atlanta when he was on tour. Subsequently we hung out in L.A. several times…I had him come over to my house for dinner… He dedicated a song to me from the stage … it remains a beautiful moment of my life. JD: I had known them for years before we made a cd together and did shows together. It felt like being amongst brothers, being in the same tribe. JD: I have admired Brian William’s work since before I joined Swans. I was actually nervous to meet him because to me he is legendary. He is a genius. He recently did some work for Puscifer (another project of Maynard’s) and used my voice. Would love to work with him again. JD: The MASTER. A consummate artist. Honored to have known him since 1984 when I met him on the Swans European tour. He did a brilliant performance for “Feral” on The Men Album. I asked him to be the voice of “madness” and what he did is chilling and inspired. JD: Joe Budenholzer and I lived in the same neighborhood in New York and became friends. Working with him was always joyous. He is a visionary. HH: Your upcoming album features contributions from ex-Pantera singer Phil Anselmo, and Attila Csihar, probably best known for his work with Mayhem. Does this mean the album will have a metal sound or influence? How did your collaboration with Phil come about? JD: It isn’t metal. 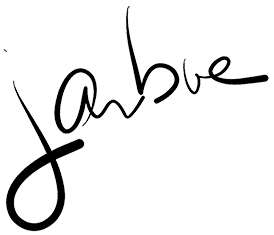 My work will always be “Jarboe” and that means no category or style other than the worlds I create in my head. They were chosen because the quality of their voices for the specific songs was perfect. I love hearing what another singer does with my work. It brings me great joy. To collaborate is to trust and to let go of ego and control. I have always gone into it with this ideal and I have never been disappointed. Philip was familiar with my work. He told me he had my work in his iPod! We had long talks about music and Louisiana. My family is from there and so is he and he also lives there now. HH: How do you think your material has developed since the beginning of your solo material. Is there a pattern to the development? JD: I have continued to explore and maintain an open mind about what is possible in music and vocalizing. This sense of adventure is my development in progress. For example, on “MAHAKALI,” I recorded lead vocals inside a Solomonic Magick Circle with an inexpensive microphone and used a selection of those recordings in some of my songs on the album so that the energy of the circle would be present on the album. Even if they were distorted in places, the process was more important than pristine recordings. HH: What does the future hold for Jarboe? JD: A European and American tour for “MAHAKALI” in 2009. (That is the title of my album coming in October 2008). A special limited project collection called Pandora’s Box from my website! Also an ensemble cd project with Julia Kent, Kris Force, Meredith Yayanos, & Annie Hogan called AEAEA. And music for a game from Belgium launching in March 2009 called The Path. And a musical/audio documentary on cd called The Sweet Meat Love And Holy Cult. HH: Then, after I had had the chance to listen to a preview copy of Jarboe’s new album ‘Mahakali’, I pitched a few more questions her way…Top of Form. Your new album ‘Mahakali’ channels the spirit of Kali, the Hindu goddess of destruction. You seem to suggest on the album that Kali can save as well as destroy us. Do you believe that we live in the Kali Yuga, the Iron Age, and that things will have to get worse before they can get better and a new Golden Age can begin? In a broader sense, do you think that creation must always be preceded by destruction? JD: Yes. I do believe in the cycle. The cycle of creation and destruction. HH: Talking of destruction leading to creation, I read an interesting article recently about American separatist movements, who want (for instance) Vermont or Alaska to secede from the Union. These movements are apparently growing in strength as more people become disillusioned with the U.S. government. Do you think that separatist tendencies like this will increase around the world? Is decentralisation the way of the future, and if so, do you see this as a good thing? HH: Was it difficult for you to channel the spirit of Kali for the ‘Mahakali’ album? How did you prepare yourself mentally for the task at hand? JD: Visualizations and meditation were involved. I took the position of only commentary on the energy in a narrative sense on some tracks on the album and then flipped it over on other tracks to BE the energy. This back and forth gives balance and keeps focus. On the tracks where I channel Mahakali, I felt complete. HH: You also did an album this year with Justin K. Broadrick from Godflesh, which is a lot different in atmosphere to ‘Mahakali’…it seems a bit more playful or experimental, but also dark in parts. What are your thoughts on this album…and did it match what you hoped to achieve with it? JD: J2 is an exchange of filters of ideas utilized with restraint and also abandon in that we keep a certain minimalism yet invite the whimsical quality you noticed. And yes, even in the more playful moments, there is an unsettling quality of tension. This is deliberate and is why we named it after a measuring unit of heat and electricity. It is a plus that both of our names coincidentally begin with the letter J.
HH: Thanks very much for the interview. Any final reflections? JD: Yes, thanks for listening ! All Photographs taken by and used with the permission of Marilyn Chen.